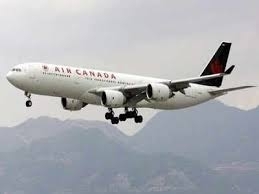 Air Canada has temporarily suspended service to India, following a decision by the Pakistani government to close its airspace. Canada's largest carrier canceled one flight to India from Vancouver and another flight en route to Delhi has turned back to Toronto, spokeswoman Isabelle Arthur said by email. The carrier, which operates daily service from Toronto and Vancouver to Delhi and four times weekly between Toronto and Mumbai, will "monitor the situation."